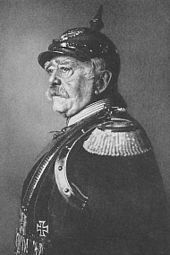 The iconic Pickelhaube, the ‘point bonnet’, has its origins in 1842-43 Prussia. Imitated far and wide, these helmets were made from metal, leather, and even pressurized felt when resources were needed elsewhere. The Pickelhaube offered as much protection as other headgear of the time: almost none. It did, however, give the wearer a recognizable silhouette. This was important in an age where long-distance communication was difficult, and an officer needed to identify troops with his own eyes. The Pickelhaube’s grip on the heads of men came to an end in World War 1, where it was incapable of protecting the wearer from shrapnel and falling debris. Authentic metal Pickelhaube can be rare due to their age, and are often sought after by collectors, selling for anywhere between $400 – $2,000. Condition does, as always, influence price.